At Salvation Tree School, all-round development of students is one of the prime objectives of schooling. 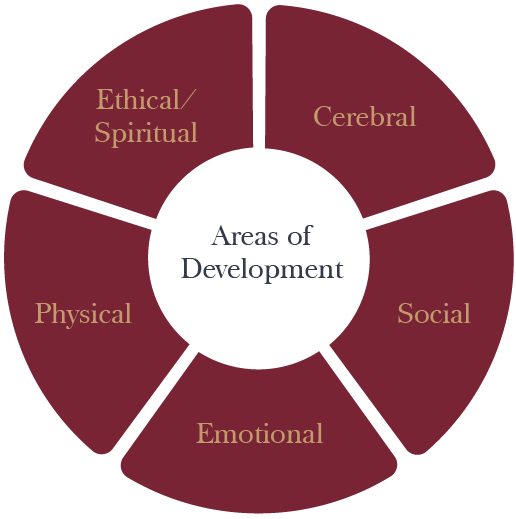 It implies development in all areas, i.e., cerebral, emotional, physical, social, and ethical/spiritual. Cerebral Development: This refers to not just academic knowledge and skills, but also the ability for critical thinking, inquiry, and creativity. Social Development: Development of interpersonal skills, communication and collaboration skills, and the ability to adapt to — and be comfortable in — a wide variety of social structures. Emotional Development: Development of self-discipline, personal mastery and self-direction, and the ability to remain emotionally stable in both favourable and adverse situations. Physical Development: The ability to manage personal health by developing and maintaining healthy habits, development of skills in a range of sports, and enjoyment in various kinds of physical activities. Ethical/Spiritual Development: It’s all about character and values; the ability to differentiate between right and wrong; and to do what is right because it is right, and not out of a fear of consequences. It helps to develop a sense of calm and peace within; a sense of oneness with the external world, and an appreciation of its beauty.